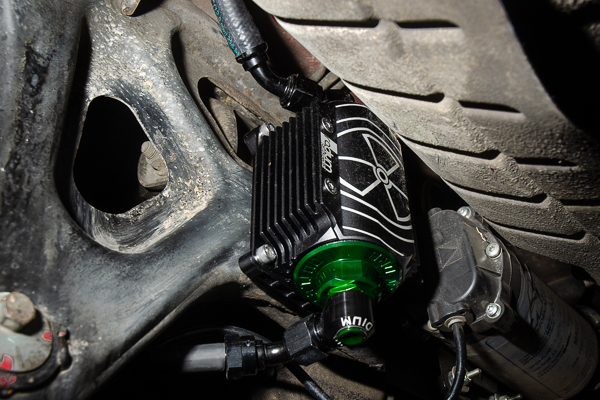 The unique integrated 1.85L surge tank completely eliminates fuel starvation. No grinding, bending, or modification of the trunk floor sheet metal is required. To simplify aftermarket -AN hose plumbing, the 10AN ORB threaded feed port features a low profile 8AN male fitting and the 8AN ORB threaded return port features a low profile 6AN male fitting. 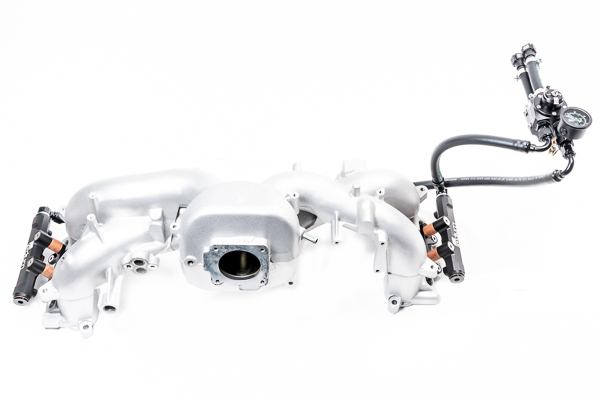 To reconnect the OEM feed and return hoses, barb fittings are also included. The custom designed stainless electrical studs easily handles the high current demand that compact bulkhead connectors lack. These serviceable connections are properly sealed and impervious to all standard and exotic fuels. Nylon acorn nuts are provided to prevent any accidental short circuits. Furthermore, the high quality in-tank wiring is insulated with chemically resistant PTFE. 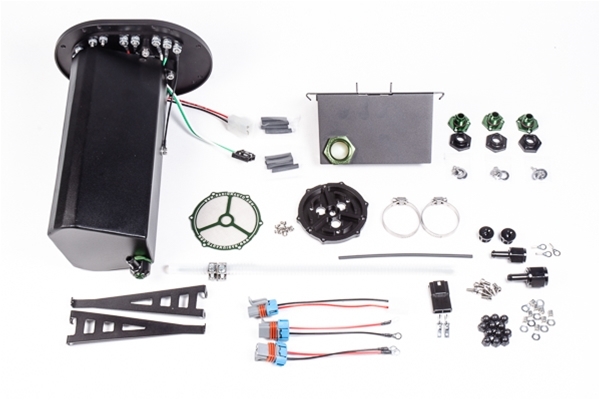 Electrical hardware is included for the fuel pump(s), OEM level sender, and OEM temperature sensor. A fuel surge tank (FST) is the best solution in preventing fuel starvation. 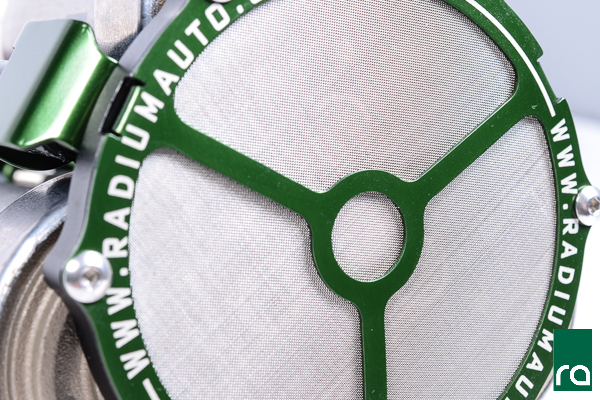 Since 2009, Radium Engineering has been designing numerous FSTs for multiple applications. But after some sanctioning bodies banned externally mounted FSTs, Radium built the first production fuel cell with an integrated surge tank (FCST). 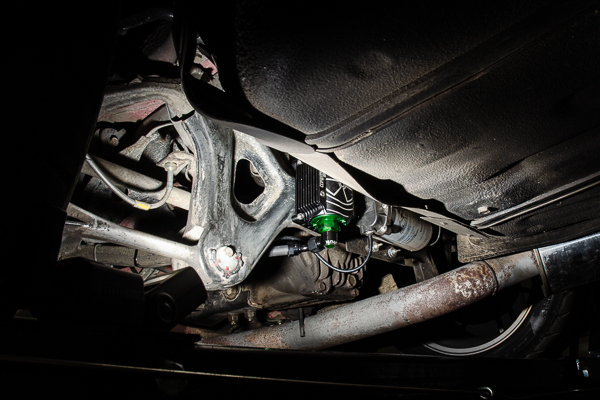 Because the FD RX7 can experience high lateral Gs, it inherently suffers from fuel slosh. Fortunately, Mazda manufactured a gas tank with a very large bolt flange pattern (similar to the FCST) permitting various upgrading options. For a proper FST to function, a lift pump is necessary to maintain volume within the surge tank. 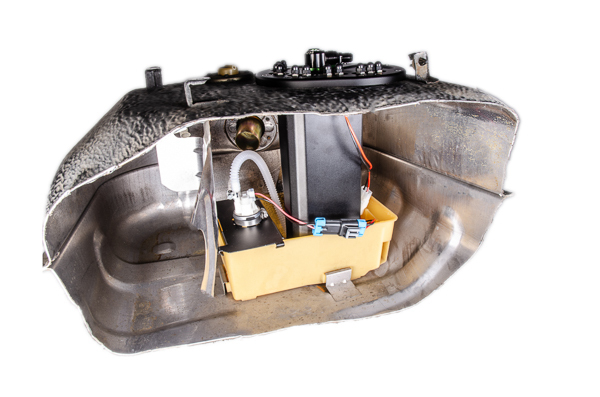 This lift pump is located in the rear portion of the OEM sub tank within the Mazda gas tank. 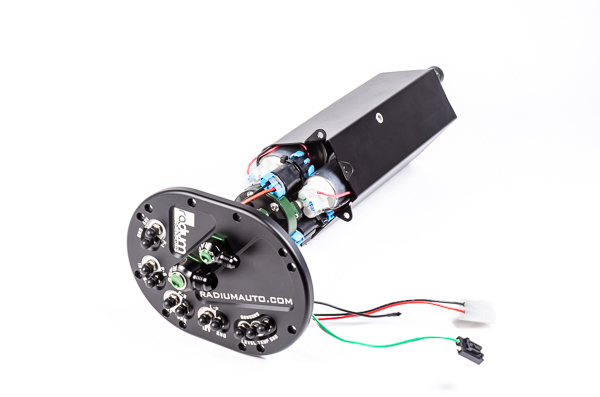 Included in the kit is a lift pump mount that snaps onto 3 sides of the OEM sub tank. It also serves as a baffle keeping the lift pump supplied with fuel. Measures were taken to ensure that the lift pump always has fuel to deliver to the surge tank. 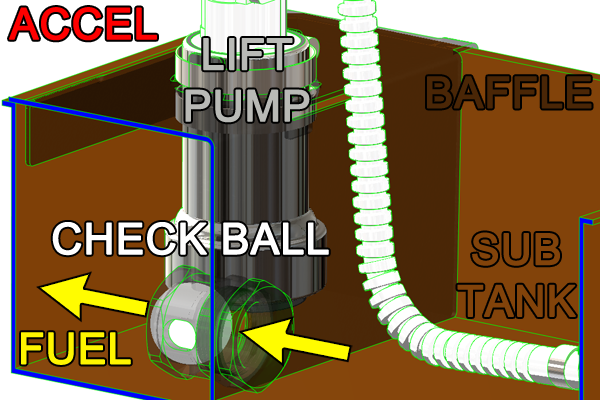 The 1" check ball allows fuel into this tight area during acceleration (above) and traps fuel in during deceleration (below). The lift pump sends low pressure (high volume) fuel in the FST through a special deflector in the bottom of the surge tank canister. The 24 hole diverter evenly disperses fuel inside the canister preventing air bubbles and foaming. When a low demand for fuel is present, the canister will overflow back into the OEM sub tank. For the high pressure pumps supplying fuel to the engine, a bespoke stainless steel triple pump mesh strainer is included for proper inlet filtration. 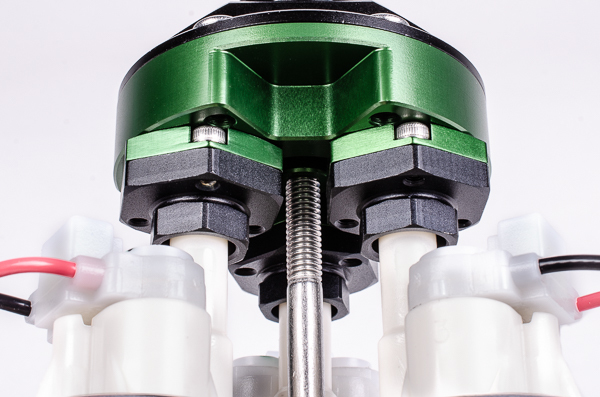 Because all compatible fuel pumps utilize integrated check valves, the high pressure pump outlets merge into a single 10AN billet collector. The returning low pressure fuel from the regulator is sent back into the FST keeping it full. A second 24 hole deflector is used in this location further preventing air bubbles and foaming. All of this happens inside the OEM gas tank. 2. 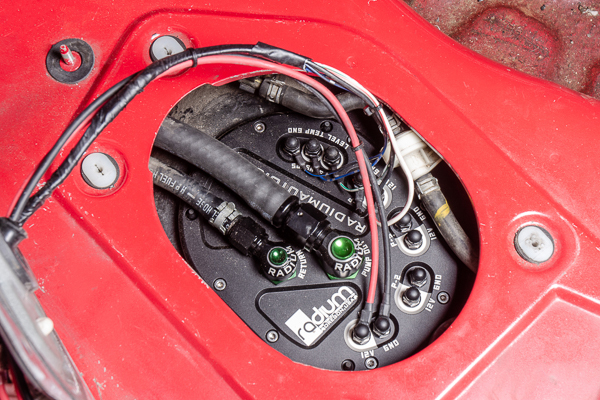 There will be enough components included with this option to run all 4 fuel pumps. Depending on the setup, some parts will simply not be used. The feed kits use high flowing -8AN fuel lines. 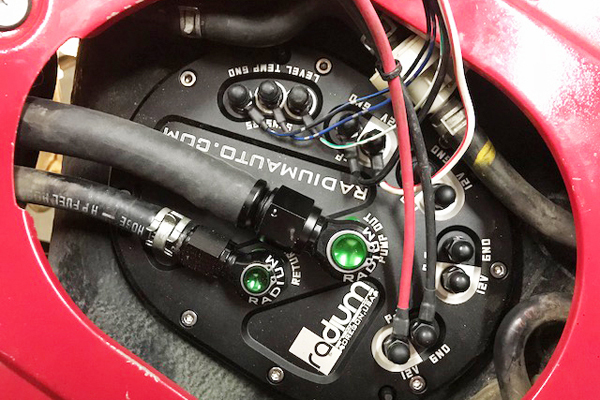 A 1/2" vapor shield feed hose runs from the fuel pump hanger outlet to a Radium Engineering fuel filter secured to the rear subframe. From there a pre-made -8AN PTFE feed line runs all the way to the engine bay where it is up to the user to adapt the 45 degree hose end to their specific fuel system. The fuel lines clear the OEM fuel pump cover and all suspension related parts. No cutting or drilling is required to get the feed line past the fuel tank. 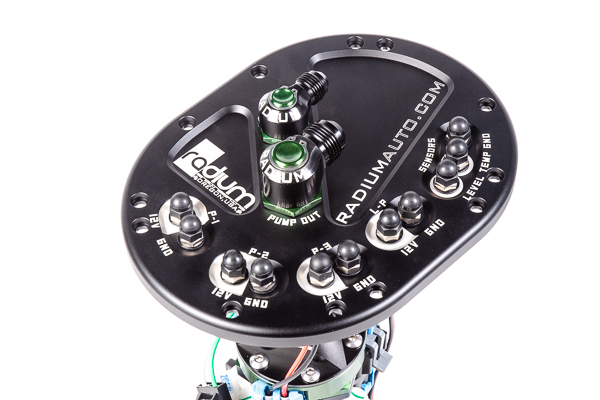 The included Radium Engineering fuel filter assembly mounts to the rear subframe underneath the vehicle using a specifically designed FD RX7 bolt-on billet mount. The filter is mounted through a Radium Engineering heat exchanger to keep fuel temperatures down. 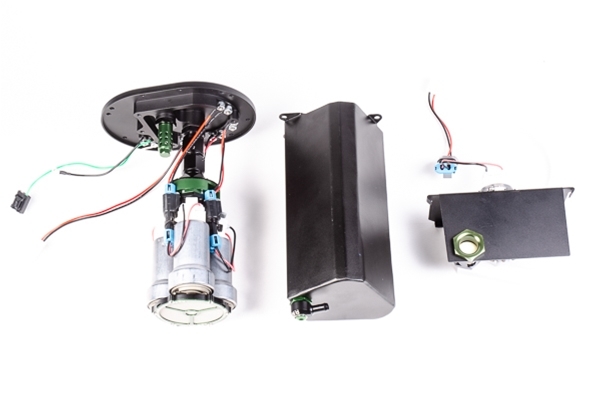 Depending on the kit selected (-01,-02,-03), the fuel filter will be assembled with 1 of 3 different elements. Go HERE for more filter element information. 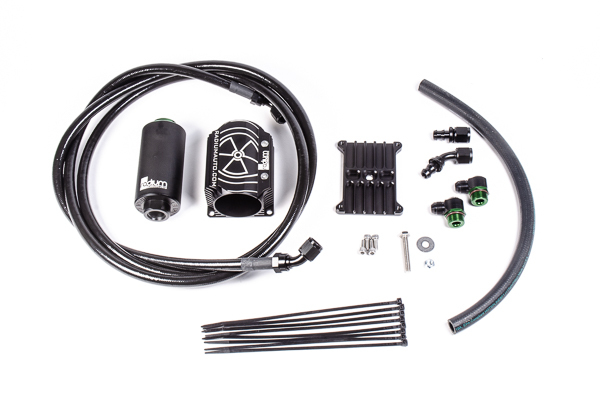 Because the lift pump operates at low pressure, the OEM fuel pump wiring can be reused specifically for this low current pump. However, it is necessary to wire all high pressure pumps with their own dedicated fuse and relays. 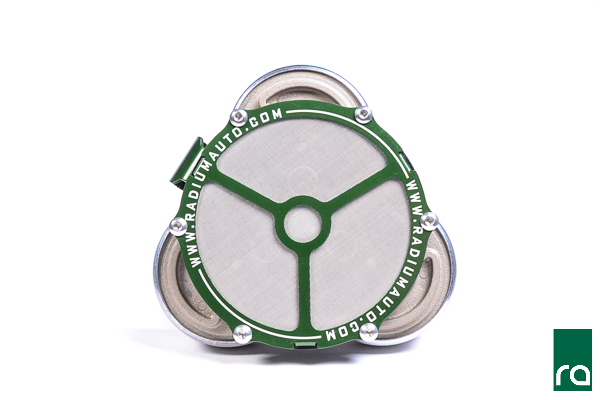 The Radium 17-0031 DIY Wiring Kits can be purchased HERE. Select qty1 for single high pressure pump applications, qty2 for dual high pressure pump applications, and qty3 for triple high pressure pump applications.